You can claim a "qualifying child" or "qualifying relative" if they meet specific requirements related to residence, relationship to you, age, financial support provided and income. Even significant others or friends can qualify in some cases. Put our expertise to work for you and ask some of your most taxing questions. Here are some questions and answers that we hear most often at Precise Taxes, LLC. If you have additional questions, feel free to contact us. Am I able to deduct expenses for repairs done to my main home? Unfortunately, you cannot deduct those expenses but if you use any part of your home for business use, you may be able to deduct a portion of your expenses. You may also qualify for certain credits. What are the tax implications of an early withdrawal from a retirement account? Withdrawing money early from a retirement account comes with a 10 percent tax penalty plus regular income tax on the amount withdrawn. If I started a business, can I deduct my home office expenses? How much do I need to earn doing contract work before I have to pay taxes on it? What should I do if I did not report all of my income on a tax return that I have already filed? Can I receive a tax refund if I am currently making payments under an installment agreement for a prior year's federal taxes? A home office deduction is legitimate when the space is used exclusively and regularly for the home office and not for a space that is mixed residential and business use. You must make estimated tax payments for the current tax year if you expect to owe at least $1,000 in taxes for the current tax year and haven't had any tax withheld to cover that amount. You are required to report all income derived from any source, regardless if you receive a tax form reporting that income or not. However, you can deduct business expenses you incurred to receive business income. 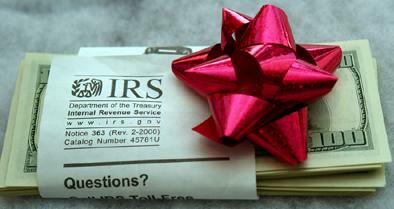 You should file an amended tax return or contact the IRS for other options. You should file past due returns to 1)avoid interest and penalties, 2)claim a refund as long as you're under the statute of limitations of 3 years within the returns due date, 3)protect your social security if you are self employed, and 4)avoid issues pertaining to loans. Why should I file past due returns?